Yellowstone National Park in Wyoming is one of the most beautiful, serene places that I have ever visited. The above photo was captured not long before driving into the park from the southern entrance. I could see that I was driving alongside a canyon and a river, but when I pulled over and actually took a look, it was absolutely breathtaking. 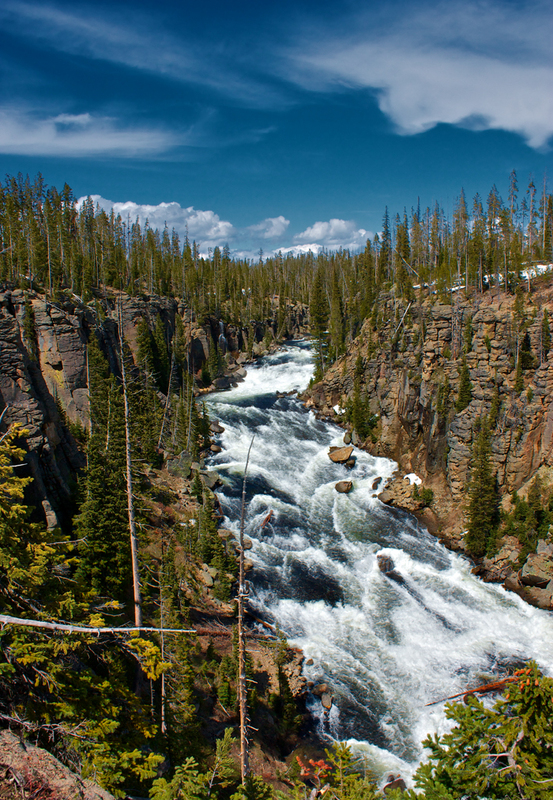 Pictured is the Lewis River rushing through a canyon in Yellowstone National Park, taken while I was on my west coast road trip in June 2009. Lewis River in Yellowstone National Park by Joey B. Lax-Salinas is licensed under a Creative Commons Attribution-NonCommercial-NoDerivs 3.0 Unported License. Permissions beyond the scope of this license may be available at http://www.joeyblsphotography.com.